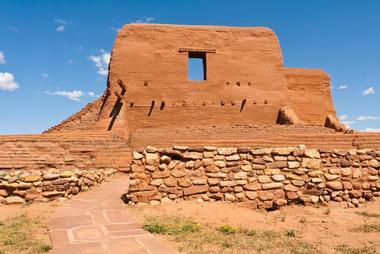 Offering a diverse collection of lively cities and interesting national parks, many of which feature unique landscapes, the southwestern region of the USA is a fascinating area to explore for a weekend or a longer vacation. Outdoor enthusiasts will particularly enjoy all the activities the region offers, including hiking and cycling through some incredible desert landscapes and the chance to try some adventure sports such as rock climbing, canyoneering, skydiving, and hot air ballooning. In winter the emphasis changes to having fun on the abundant ski slopes. Bustling cities like Albuquerque, Las Vegas, Laredo, and El Paso are bursting at the seams with excellent museums, art galleries, and many historic sites where you can learn about the history and culture of the area. 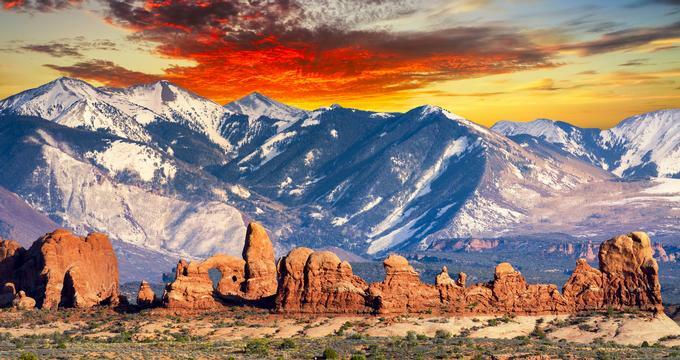 The spectacular landscape that awaits you in Arches National Park in Utah is something everyone should explore at least once in their lifetime. Millions of years of wind and water erosion have carved the red rocks of the park into a myriad of remarkable shapes, including more than 2,000 natural sandstone arches. The best way to explore this unique landscape is on foot along a network of hiking trails, but you can also see a good percentage of the arches by driving along the 18-mile scenic road. Other activities include mountain biking, canyoneering, horseback riding, camping, ranger-led programs, and stargazing. Located in southeast Utah's high desert region, Canyonlands National Park provides a veritable playground for outdoor adventurers. The park boasts an incredible landscape composed of rivers, canyons, sandstone arches, and stony fins, all of which form the backdrop for a range of exciting activities. You can get an overview of what is available at the visitors center and pick up your map. Hikers have at least 15 trails to choose from, while bikers can set off along the 100-mile White Rim Road (also suitable for some 4X4 vehicles). 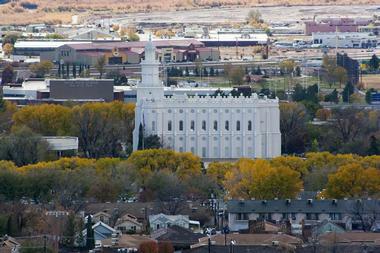 You could also enjoy a scenic drive along a 34-mile paved road. Other activities include flat-water and whitewater rafting, kayaking, rock climbing, backpacking and camping as well as ranger-led activities for all ages. Carlsbad Caverns National Park in New Mexico is an amazing place to visit, where you can explore a sprawling desert area dotted with over 100 very impressive natural caves. You can find out all about the activities and attractions of the park at the visitors center, where you can also watch an orientation video, have a snack at the café, and browse in the shop. Visitors can tour the two largest and most impressive chambers on self-guided tours or sign up for a ranger-guided tour, which will give you guided access to several other smaller caves. If you visit during the summer, you can join one of the rangers on the fascinating Bat Flight Program. Death Valley National Park is a wonderful place to visit if you wish to escape civilization for a day or two and see the lowest, hottest, and driest national park in the country. 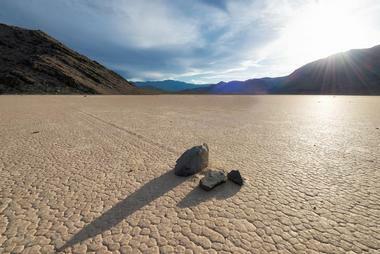 Death Valley is located below sea level and is a place of vast diversity, where winters offer snow-covered peaks and spring rains can temporarily transform the desert into a lush meadow of wild flowers. Hiking, mountain biking, and backcountry camping are popular activities, but you can also tour a large part of the park by ordinary motor vehicle along a very extensive network of paved roads and explore backcountry roads by 4X4. Remember to bring in everything you need and carry out all your rubbish. Located in southwest Utah's high desert, Bryce Canyon National Park offers visitors the chance to explore an otherworldly landscape of unique stone spires and naturally formed amphitheaters. There are several ways to see the park - you can pull on your hiking boots and set off along a network of trails to explore at your own pace, visit the main viewing points using the park shuttle or even book a 3.5-hour guided shuttle tour. It is also possible to self-drive, but the park is very popular and roads can be busy. You can spend the night at the Bryce Canyon Lodge or bring your tent or RV to either the North or Sunset Campgrounds. Staying overnight is highly recommended as you can join the popular Full Moon Hike and do some excellent stargazing. Perfectly located in the heart of the world's largest Ponderosa pine forest and just 80 miles from the Grand Canyon, the city of Flagstaff is a great vacation destination with attractive activities for all. Outdoor enthusiasts can enjoy everything from walking, cycling, hiking, and golf to whitewater rafting and a wide variety of winter sports. If you are more interested in history and culture, you can visit nearby Navajo and Hopi reservations, learn about Wild West history in Tombstone, or feast your eyes on the Tlaquepaque Arts and Crafts Village. Children will love a visit to Bearzona Wildlife Park to see bears, bison, wolves, and more. 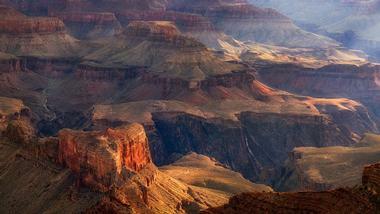 It is the majestic scale of Grand Canyon National Park that will remain in your memory long after your visit. The canyon spans a remarkable length of 277 miles and is up to 18 miles wide in places and a breathtaking one mile deep. The South Rim is the most accessible area of the park and is open year round, while the higher North Rim is closed in winter. Visitors can explore the South Rim by walking, cycling, or using the free shuttle along Hermit Road, which visits most of the best viewpoints. There are several options for accommodation in the park, including lodges and campsites. Day hiking and overnight backpacking below the rim are the most popular activities. Helicopter and light plane flips over the canyon are available outside the park, and you can also visit the spectacular Grand Canyon Skywalk in the Hualapai Reservation at Grand Canyon West. Best known as a popular and challenging winter sports destination, Gunnison Crested Butte is also a great place to pursue a wide range of summertime activities or just relax and enjoy the wonderful scenery. In winter you can spend your time skiing, snowboarding, and snowmobiling and even enjoy dog sledding and sleigh rides. In summer, visitors come to enjoy excellent hiking and mountain biking, climbing, fishing, camping, and more. For arts and culture enthusiasts there are a number of galleries and art centers to visit as well as a few interesting and different museums. Families will find plenty of fun and educational attractions for children, including the Trailhead Children's Museum and various seasonal children's camps. Located in west Texas, El Paso offers visitors a great combination of desert wildlife activities combined with bustling city life. You can enjoy an exciting cable car ride up to the summit of Ranger Peak in the Franklin Mountains on the Wyler Aerial Tramway - your ride is ranger led and you will learn about the fascinating flora and fauna of Franklin Mountain State Park. Back in town you can explore a few of the cultural and historical attractions that tell the story of El Paso's early days or visit a selection of art galleries and the El Paso Museum of Art. El Paso has several family-friendly attractions, including the El Paso Zoo, and you can even visit a desert winery at the Zin Valle Vineyards. 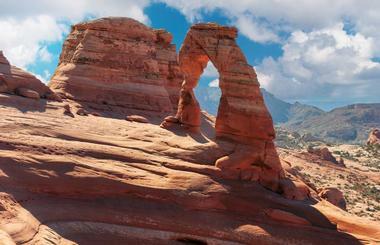 Utah's Lake Powell is a controversial manmade dam that occupies what used to be the very scenic Glen Canyon. Love it or hate it, the dam provides much-needed water stability in an arid area and, as a bonus, it also provides a fantastic facility for outdoor enthusiasts. You can explore the shores of the lake on foot along a network of hiking trails and spend a few nights in one of three campgrounds suitable for both tents and RVs. Watersports are the most popular activities on the lake and include boating, kayaking, canoeing, waterskiing, and tubing. For something really different, you can rent a houseboat and spend a few days exploring the stunning scenery of the lake from a completely different perspective. Located in southern Texas, just about on the US border, Laredo is an historic town with several stories to tell in its five separate historic districts. A great place to learn about the history and culture of Laredo is the Villa de San Agustin Historic District, where you will find the Republic of the Rio Grande Museum, the Border Heritage Museum, and the Washington's Birthday Celebration Museum. Art lovers can spend some time visiting the Laredo Center for the Arts and the Helen Richter Watson Art Gallery. 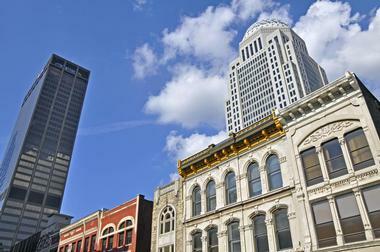 You can get a real feel for the city on a self-guided walk around downtown, where many historic buildings can be admired. 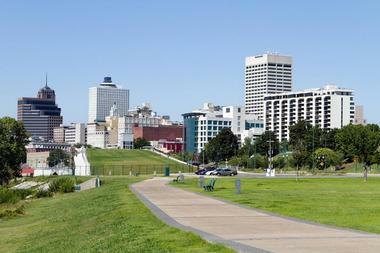 The city offers great restaurants and a vibrant nightlife as well as a good selection of family-friendly activities. 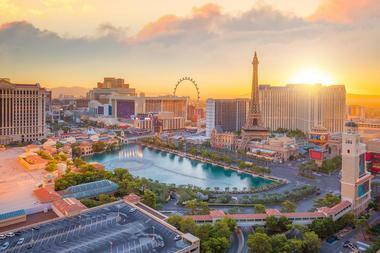 Bright, brash, and brassy, Las Vegas is probably the best-known casino city in the world, but even if you have no intention of gambling, you will find an endless list of activities to keep you busy 24/7. A walk down the Strip (Las Vegas Boulevard) will introduce you to the remarkably elaborate hotels and a stop outside the Bellagio Hotel to watch the famous fountain show is pretty much obligatory. All the hotels and resorts offer sunny pools where you can relax, and many also have elegant day spas if you need some pampering. At night you can choose from dozens of world-class live shows, dine like a king, or flirt with Lady Luck in the casino. Las Vegas is also your departure point for scenic flights over the Grand Canyon and Hoover Dam, and adrenaline junkies should not miss the thrilling rides on offer at the Stratosphere Tower. 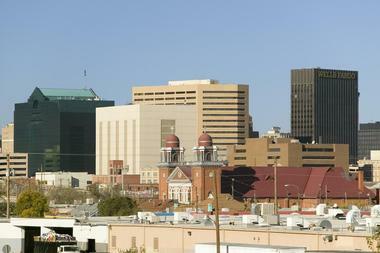 Lubbock is located in the north west of Texas and will especially appeal to rock 'n' roll enthusiasts as it is the birthplace of the legendary Buddy Holly. You can learn all about the city's most famous son at the Buddy Holly Center, in what was once the railway depot building, and enjoy the city's vibrant music scene at several venues. The Windmill Museum and the Bayer Museum of Agriculture showcase the region's roots in farming, and there are several wineries to visit. Family-friendly attractions include the Museum of Texas Tech University, Joyland Amusement Park, Legacy Play Village, and the Silent Wings aeronautics museum. A fairly steep hike up to the top of Camelback Mountain will reward you with amazing views of the city of Phoenix against the beautiful backdrop of the Sonora Desert. 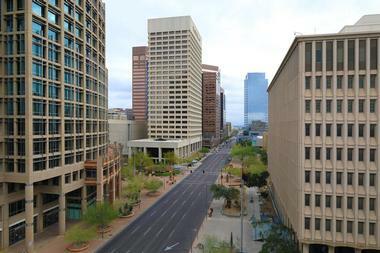 In addition to Camelback Mountain, Phoenix can offer hikers several other beautiful outdoor areas to explore on foot. If hiking is not your thing, you can set off on one of several scenic drives or explore on two wheels along a variety of cycling trails. A visit to the 50-acre Desert Botanical Garden is a must for all visitors, as is the Heard Museum, where you can learn about the history and culture of 22 local Native American tribes. Art lovers should not miss Roosevelt Row, which is home to galleries and outdoor art and hosts a monthly Art Walk. Taos is a popular vacation destination located at the foot of the Sangre de Cristo Mountains in New Mexico, offering a varied selection of outdoor activities for adventurers. If you visit during the winter months, you can have days of fun in the Taos Ski Valley, which boasts 110 runs and lessons for both beginners and experienced skiers. In summer you can go whitewater rafting, hiking, and walking or rent a mountain bike to explore the South Boundary Trail. The city is also great for culture-vultures, who have more than five fine museums to visit and a huge selection of art to admire at the Taos Art Museum, the Harwood Museum of Art, and dozens of galleries. 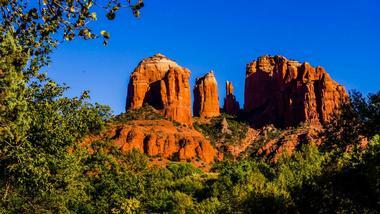 The beautiful Arizona town of Sedona is surrounded by a superb landscape featuring red-rock buttes, endless pine forests, and dramatic canyons. The opportunities for outdoor activities are numerous, and people visit from near and far to enjoy hiking, cycling, rock climbing, and a host of other recreational activities in several state parks and other areas of natural beauty. Back in the city, you can immerse yourself in the vibrant arts scene or get a bird's eye view of the area as you step aboard a biplane or hot air balloon. Wildlife enthusiast can even see some big game at Out of Africa Wildlife Park, while wine enthusiasts can visit a handful of local wineries. 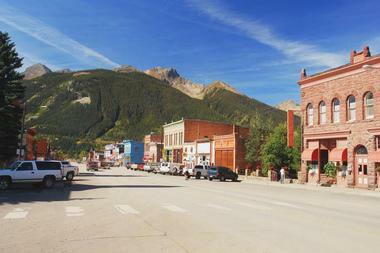 The historic silver mining town of Silverton is nestled between the Red Mountain and Molas Pass in San Juan, Colorado. Most of Silverton's downtown is a designated National Historic District and a visit to the Mining Heritage Center and Jail is a great option for visitors wanting to find out more about the town's mining history. Today, most people visit Silverton to enjoy a wide range of outdoor activities, including hiking, mountain biking, and 4X4 excursions over the Alpine Loop Scenic Byway. In winter you can have loads of family snow fun at Kendall Mountain, while more expert skiers can take on the challenging slopes of Silverton Mountain. No visit would be complete without hopping aboard the historic Durango and Silverton Narrow Gauge Railroad for a scenic and nostalgic steam-train ride. The town of St. George in Utah is a veritable playground for active outdoor enthusiasts as well as a convenient springboard to wonderful Zion National Park. Just a few of the adventure sports available in St. George include skydiving, rock climbing, canyoneering, and ziplining. You can also hike through some outstanding scenery along a network or hiking trails in Zion National Park and Snow Canyon State Park. Cyclists can explore excellent paved trails and roads or try a mountain biking trail. The town offers good attractions for non-sporty visitors, who can spend their time visiting some excellent museums, art galleries, and live theater. Whether you love outdoor activities or a good dose of history and culture, you will find that Tucson, Arizona, has something for everyone. For fit and energetic visitors the city and its surrounds offer opportunities for hiking, cycling, rock climbing, and horse back riding, all against the scenic backdrop of mountains and forests. In addition, there are caves to explore and wide clear skies for brilliant stargazing. Art and history enthusiasts can visit the amazing Mission San Xavier del Bac to see the wonderful frescoes adorning one of the best remaining examples of Spanish colonial architecture in the US. 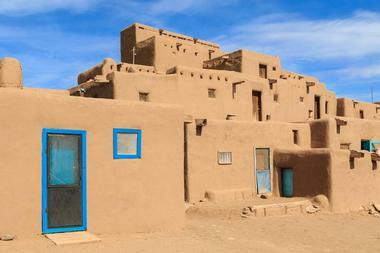 Other must-see attractions include the Pima Air and Space Museum and the Arizona-Sonora Desert Museum. 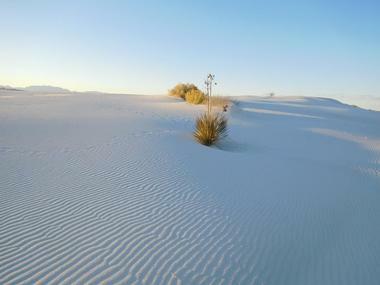 The White Sands National Monument in New Mexico encompasses a remarkable 275 square miles of gypsum desert and sand dunes just waiting to be discovered. To learn about all the activities in the area you can call in at the visitors center before you set off to explore. Activities include backcountry camping (10 primitive campsites are available), hiking, cycling, and scenic drives along Dunes Drive, which will take you into the heart of the gypsum desert. You can bring along a picnic to enjoy at one of the picnic areas along the road. To better understand this amazing ecosystem you can join the Native Plant Garden Tour or one of the ranger-led programs. Majestic soaring cliffs in pinks, creams, and red hues welcome visitors to Zion National Park in Utah for an unparalleled outdoor adventure. There is never a dull moment in Zion National Park and even the most ardent adventurer will find plenty to keep them busy. Highlights of a visit to the park include walking, hiking, and biking along a vast network of trails, canyoneering and rock climbing and various ranger-led activities for all ages. You can get a permit to go whitewater rafting and very proficient kayakers can take on the challenging Narrows on a multi-day kayak excursion. There are three campgrounds inside the park and several more nearby. 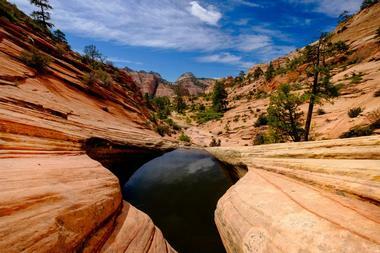 You can also explore the park aboard the free Zion Shuttle.